Are You Interested In Improving Your Online Marketing? Sometimes we are a bit sceptical about taking a chance even if we know it may improve our situation. There are a lot of dodgy operators out there who will take your hard earned money and not actually provide the promised value to you. But does this mean you should look at every opportunity in a negative way? I have been studying online marketing for a very long time. In fact I first had the interest in the late 1990’s when I discovered that people were making quite good money (in some cases millions of $’s) by promoting and selling services and products online. Jump forward to today, and many of the techniques used back then are considered out-dated and obsolete in the current online world, and yet with some adaptation there are still people raking in big money using online marketing. Back in those days, the net was full of garish sales letters that had lots of different coloured headlines, bright yellow highlighting on points of interest and big bold buttons saying “Buy Now”. 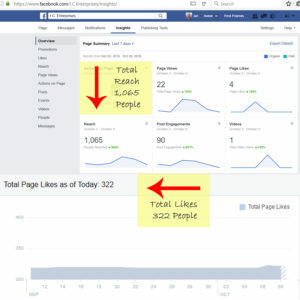 Interestingly, there are still some internet marketers using these exact same layouts and they are still getting results! With so many experts saying you can’t do this or you shouldn’t do that, it gets confusing as to what to believe any more. Should you concentrate on Social Media, create a whole heap of videos, use content marketing or work solely on your website? Which should you do? So, if you have followed me for a while you will realise I have quite a few ideas in this regard. My main aim is to help others by giving information and tips on how to be more successful in marketing their businesses online. So I am asking for expressions of interest in a course that helps you sort out what you can do to improve your online marketing and create a system that will bring in more leads and help convert them into customers. This course will be ideal for people who are struggling trying to workout how to use the internet to promote their business, what they should be doing and how often, and which marketing system is the best one for their product/service promotion. I am not sure which platform I will be using to provide this as yet, but I can say that it will not cost you anything to join in. Please let me know in the comments on this post if you are interested in participating in a course like this. If I have enough people let me know, then it will be done. 4 Responses to Are You Interested In Improving Your Online Marketing? Hey Ian, I definitely think it’s a matter of finding what works and those such as yourself who are seasoned at doing this have much to bring to the table. I’d definitely like to be a part if you have enough interest. I would be interested. So far I have been blogging. Even though I love it, I don’t know how to reach people with it. I am also hoping to have a Kindle book up on Amazon in a month or so and would love to figure out a way to get the word out on the book. Cool Rochelle, will keep you informed on the outcome.